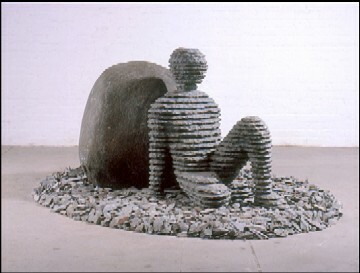 Ginnetoy 2nd, 2004, bronze, bluestone, boulder, ed. of 5, 35 x 80 x 60 in. Help to browse the catalog.